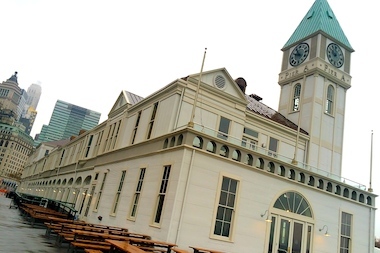 Two of the thefts happened in the same location, Pier A Harbor House, police said. FINANCIAL DISTRICT — So much for the luck of the Irish. Six people out at Financial District bars on St. Patrick's Day had their wallets and bags stolen, police said. Two of the thefts happened in the same location, Pier A Harbor House, at 22 Battery Place, police said. A 25-year-old woman, who was working an event at the location, said her bag — which held her MacBook Air computer, her $700 Ray-Ban sunglasses and $800 Louis Vuitton wallet — was stolen after she left it unattended for several hours. Another woman, 27, said she left her bag hanging on a hook underneath a bar at Pier A at about 10:30 p.m., stepped away for about 15 minutes, then found that her $400 Michael Kors bag, which contained her $200 Kate Spade wallet, along with her Samsung smartphone, was gone. A couple of hours earlier, at cocktail bar the Dead Rabbit, which won the title of world's best bar in 2016, a 41-year-old woman placed her $200 Marc Jacobs bag on a bench behind the table where she was sitting. She realized about two hours later, around 7 p.m., that it was missing. Several people at neighboring bars on Stone Street also had their belongings stolen. A 36-year-old woman had her $300 Coach bag snatched, which held her iPhone 7, from the back of her chair at Bavaria Bier Haus, at 11:30 a.m.
Down the street, a 29-year-old man had his wallet snatched from his jacket at the Dubliner some time before 5 p.m. And several hours later, on the same block, at The Vintry, a 23-year-old woman had her wallet stolen out of her purse. Police were still investigating the thefts.